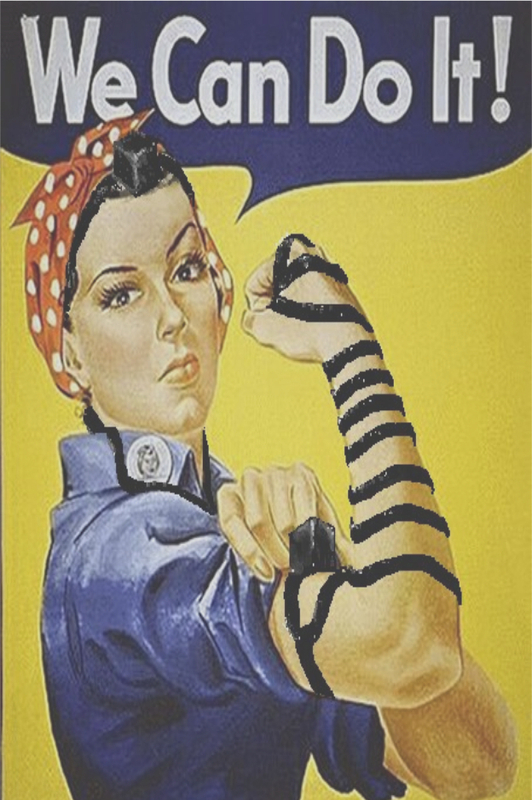 Tefillin 101, Week 4, will provide seven more interesting concepts about Women and Tefillin. 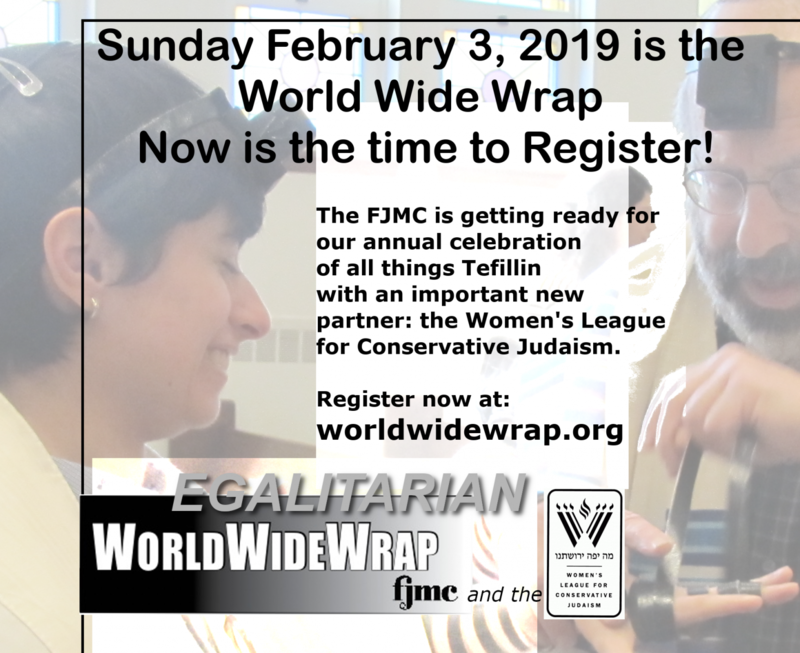 For a groundbreaking article on Women and Tefillin – Anne Lapidus Lerner “‘Bind Them as a Sign…’ Not for Men Only.” Women’s League Outlook 64, no. 2 (Winter 1993): 13–14. The earliest source found that discusses women wearing tefillin is the Tannaitic midrash on Exodus called the Mekhilta, which dates from the first century following the destruction of the Temple called the Tannaitic period. The Mekhlita states that Michal bat Kushi (Saul) wore tefillin, with no mention of the Rabbis protesting. Tractate Tefillin written in the post-Mishnaic period, in approximately the second half of the second century, states that women are exempt from the commandment of tefillin, but does not give a reason for this exemption. The account of Michal bat Shaul wearing tefillin is related, without any mention of Rabbis, or even a mention of a possibility that the Rabbis would protest. The earlier of the two Talmuds, the Talmud Yerushalmi, or the Palestinian Talmud, dating from the first half of the fifth century, in Berachot 2:3 and Eruvin 10:1, states that women are exempt from tefillin. A statement is made in both references in the Yerushalmi that Michal bat Kushi (Saul) did wear tefillin and R. HIzkiah in the name of R. Abbahu states that the Sages did object to Michal bat Kushi wearing tefillin. The Babylonian Talmud, dating to the sixth century, in Eruvin 96a, states that the Sages did not object to Michal bat Saul wearing tefillin. In addition, Eruvin 96a, a later source than the Palestinian Talmud, does not even mention the statement by R. Hizkiah, in the name of R. Abahu, that the Sages did object to Michal wearing tefillin. While studying the text in the Babylonian Talmud in Eruvin 96a, the objection reported by R. Hizkiah is only known by studying the Tosafot, edited in the 12th-13th centuries, who quote the Pesikta Rabbati, a midrash dating from not before the ninth century, written in Palestinian Aramaic. Pesikta Rabbati states that Michal bat Kushi (Saul) wore tefillin, and Rabbi Hizkiah, in the name of R. Abahu, states that the Sages did interfere with her practice of wearing tefillin. The Tosafot on Eruvin 96a (12th-13th century) quote Rabbenu Tam, who lived in the twelfth century, who said that, if women wear tefillin, they should say the blessing. If Michal bat Saul wore tefillin, she must have recited the blessings. In summary, it is significant to note that the Palestinian Talmud, an earlier source than the Babylonian Talmud, mentions that the Sages objected to Michal bat Kushi wearing tefillin; but the Babylonian Talmud does not report any objection by the Sages. Perhaps, in Palestine, it was seen as more objectionable by the Rabbis if a woman wore tefillin, but, in Babylonia, women wearing tefillin was not seen as a problem and, therefore, the Babylonian Talmud did not mention the Rabbis protesting Michal bat Kushi wearing tefillin. The Rashba, who wrote in the 13th-14th centuries, also ruled that, if women are going to wear tefillin, they should recite the blessing because, if Michal bat Saul wore tefillin, then she must have recited the blessings. Later, in the 14th century, Orchot Chayim, written by Rabbi Aharon ha-Kohen, quotes the Ram, Rabbi Meir of Rothenburg (13th century), who said that women are exempt from the commandment of tefillin, but states that it is a difficulty for him because, in Eruvin 96a, the Sages did not object to Michal bat Saul putting on tefillin. Could they be saying – if the Rabbis of the Talmud did not object to Michal wearing tefillin, why should women be exempt? The Orhot Hayyim, who wrote in the 14th century, quotes the Rashba and agrees that, if women wear tefillin, they must recite the blessings. These statements are very significant because it can be postulated that, if the question arose of whether women can recite a blessing when wearing tefillin, then, women must have been wearing tefillin at this time. 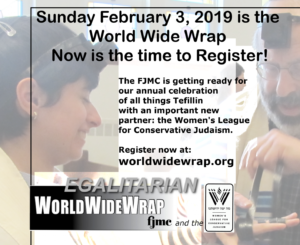 The decision by these rabbis to allow women to recite the blessings when wearing tefillin shows significant support for women wearing tefillin. The concept that one needs a clean body in order to don tefillin, is learned in Shabbat 49a, where it is taught that Rabbi Yannai said Tefillin need a guf naki [in order to be worn], like Elisha the Winged One [had]. What is it? Abaye says not passing wind with them on (flatulence), Rava says not sleeping with them on. The Yam Shel Shlomo, written in the 16th century by Rabbi Shlomo Luria (1510 – 1574), states that the Sages did not object, because Michal bat Saul was a completely righteous woman – the wife of a king, and thus royalty and also childless, so she was able to keep herself clean. It was later recorded that the wife of the Kabbalist Rabbi Hayyim ibn Attar (the author of the book Or Ha-Hayyim, the Light of Life, written in Venice in 1742, a commentary on the Pentateuch), who lived in the later 17th-early 18th century wore tefillin. It is not recorded that Rabbi Hayyim ibn-Attar objected to his own wife wearing tefillin. The Maid of Ludimor (1805 – 1892), whose real name was Hannah Rachel, the only child of Monesh Werbermacher of Ludimor in the Ukraine, was reported to have worn tefillin. She prayed with strong emotion and studied Midrash, aggadah, and philosophy. During an illness, she had a vision, in which she felt she received a new soul. After her vision, she began to observe religious rituals usually only observed by men, such as wearing a tallit and donning tefillin. She said Kaddish for her father and many people came to listen to her teach. She was considered a tsaddik (a righteous woman). The Aruch HaShulchan, written in the 20th century, states that, although Michal bat Saul wore tefillin, there was no protest. It adds that this is not to be considered a precedent, because the Sages knew that Michal bat Saul was a completely righteous woman, and she knew how to keep herself clean. In 1932, Rabbi Ya’akov Moses Toledano, who lived in Israel, Tangier, and Egypt, and died in 1960, responded to the question, “Is a woman permitted to put on tefillin?” in his book of responses called Yam Ha-Gadol. Rabbi Toledano responds that a Kabbalist’s wife, Rabbi Hayyim ibn Attar (17th -18th century), the author of Or Ha-Hayyim, wore tefillin. Rabbi Toledano answers the question providing many references to sources that discuss the Sages objecting to women wearing tefillin. Rabbi Toledano concludes his response by rhetorically questioning how such a great rabbi as Rabbi Hayyim ibn-Attar could not have objected to his own wife wearing tefillin. Rabbi Toledano’s rhetorical question might imply that, even though there is evidence in the law codes that one should object to women wearing tefillin, Rabbi Hayyim ibn-Attar did not have a problem with his wife wearing tefillin and did not object. The following is a synopsis of the question, “Should women wear tefillin?” answered by Rabbi David Golinkin, president of the Schechter Institutes, Inc, from June 26, 2013, that can be found at https://jewishjournal.com/opinion/118132/should-women-wear-tefillin/. To learn more, one can also read The Status of Women in Jewish Law: Responsa from the Va’ad Halakhah (Law Committee) of the Rabbinical Assembly of the Masorti movement in Israel. “…The Babylonian Talmud does not forbid women from wearing tefillin at all. Indeed, some rabbis of the Mishnah thought that women are obligated to wear tefillin (Eruvin 96b). Most, however, felt that women are exempt from wearing tefillin every day (Mishnah Berakhot 3:3) because it is a positive time-bound commandment (Kidushin 35a) or for other reasons. The Babylonian Talmud mentions (Eruvin 96a) that Michal, the daughter of King Saul, used to wear tefillin “and the Sages did not protest.” Rabbi Abbahu, however, reported in the Palestinian Talmud (Berakhot, Chapter 2, fol. 4c) that Michal wore tefillin and “the Sages did protest.” Thus, on the basis of the talmudic sources alone, our ruling would be that women are permitted to wear tefillin, since, when the two Talmuds contradict each other, we follow the Babylonian Talmud. The Rishonim, or medieval authorities, can be divided into two major camps: Rashi, Maimonides, and others rule that women may perform positive time-bound commandments such as tefillin without a blessing. Rabbeinu Tam, the Rashba, and many others rule that women may perform positive time-bound commandments with a blessing. Thus, all of them would allow women to wear tefillin; they would only differ as to whether women may recite the blessings.